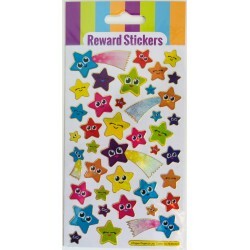 See how many reward stickers you can ear! These stickers are re-usable! Fun Foiled Stickers Decorate books and files, pencil cases, mobile phones, lunch boxes, computers, and anything else you can think of! These stickers are Re-usable! Have lots of fun stickering all of your favourite things! Decorate books, folders, mobile phones, pencil cases, gifts, greeting cards, mirrors, bags and anything else you can think of! 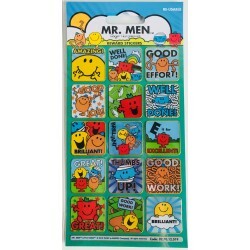 These stickers are Re-usable! Have you been a good little Moshi? See how many reward stickers you can earn! Have lots of fun stickering all of your favourite things! Decorate books, folders, mobile phones, PCs, pencil cases, gifts bikes, bags, and anything else you can think of! These stickers are RE-USABLE! Have you been Mr Perfect? See how many Reward Stickers you can earn! Have you been Little Miss Star? See how many Reward Stickers you can earn!